With New Year’s Eve just upon us, I thought I’d do a semi-themed article this week and let each title represent a popular New Year’s Resolution. We all make ‘em and, for the most part, we all break ‘em. I think we can all agree, though, that we need to watch more horror in 2014. Here’s a start. Cheers, Deviants! The trip was such a grand idea. Let’s get into the RV and travel the beautiful countryside. Leave the worries of the recently deceased canine, the jobs, the house, the awful mother-in-law and just drive. We all need that every now and again. What most of us don’t need is a bloody murder spree. You see, Chris has got a very bad temper and travelling can get stressful. What starts out as an accident turns into so much more. I’ve heard someone label it a “comedic Natural Born Killers and, in a way, it really is. 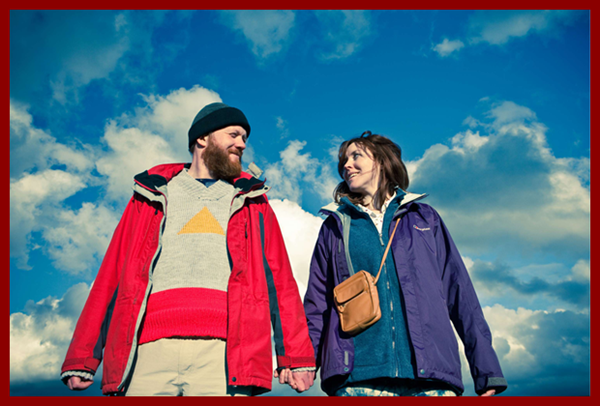 It’s also a wonderful black comedy, a view on finding out the unknown in a new relationship and it’s bloody-good fun. (It also made a couple of top ten horror lists for this year.) Directed by Ben Wheatley, who did the fabulous Kill List from 2011 and the segment ‘U is Unearthed’ in The ABC’s of Death, he’s definitely someone to keep an eye out for. Enjoy and remember, travelling more is fine; it’s the murder that’s frowned upon. Well, I talked about The Texas Chainsaw Massacre in the Thanksgiving edition of Bloody Streams and one of my favorite cannibal films, Ravenous, just isn't available to stream. So, I decided to bring you the 80’s classic C.H.U.D. (Cannibalistic Humanoid Underground Dwellers) instead. The first time I experienced this film, the main thing I took away was that it featured the dad from Home Alone (John Heard) and one of the “Wet Bandits” (Daniel Stern) from the same movie. What can I say, I liked Home Alone. It also features “Barney” from The Silence of the Lambs and the always great John Goodman, among others. The plot deals with New York City homeless people who begin to mutate and eat the local residents. The underground labyrinth of sewers in New York is very populated in real life. This film just easily builds on the fear of the unknown that lurks beneath every citizen walking above. I like this movie more every time that I watch it. It’s not as good as The Return of the Living Dead or Prince of Darkness, but it has the same feel and, in my opinion, deserves just as much attention. Surrounding yourself with better influences is very important. You can pretty much apply that to whatever age that you’re in currently. I’m 31 and I could still surround myself with better people. Your friends can get you interested in comic books, meth, girls, horror movies, video games; any number of things that can be influential or detrimental to your health. That being said, even vampires know that this simple fact is true. So, when Oskar, a bullied 12 year old is befriended by the egregious Eli, he takes notice that this may be someone he may need to keep close by his side. It just so happens that Eli is indeed a vampire…but, when you’re a victim, you’ll cling to whatever form of freedom that you can. And, when someone helps you overcome being a victim – you’ll do anything in the world for them. This is the story of Oskar and Eli. It’s an extraordinary and engaging story. A story you almost wish you could be a part of. The film, remade in 2010 under the English title Let Me In, transcends time; it speaks to people on a personal level and does so at an almost abysmal level. A level that we can all relate to. I know, this one’s way too cheesy to be a resolution, but it’s really not. I could count on numerous hands the amount of times that I’ve heard that statement about any number of shows; especially around New Years. 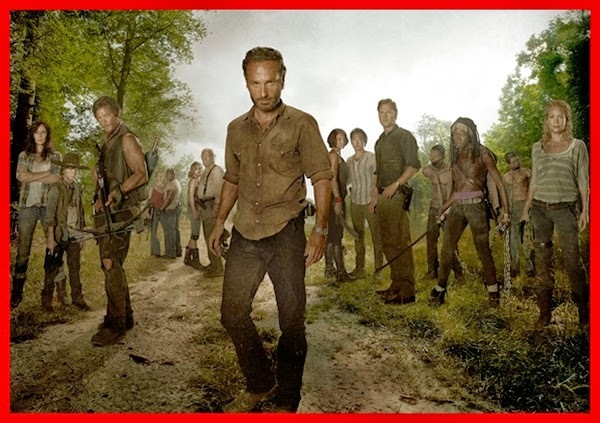 For anyone who doesn’t know; who has been living under a rock, is able to completely zone out spoilers on social networking sites, etc., the show picks up after a “zombie apocalypse” as a small band of survivors attempts to stay alive in the ever-crumbling world around them. The effects are great, but, even as horror fans, you don’t stay for the gore – you stay for the story and the characters; which are both top notch. Yes, it gets slow at times, but leading up to and including the season 4 finale, it makes it all worth it. Watch it for the first time or watch it again for the fifth time. Get pumped for what will hopefully be the best season yet. Funny Games is an interesting movie. 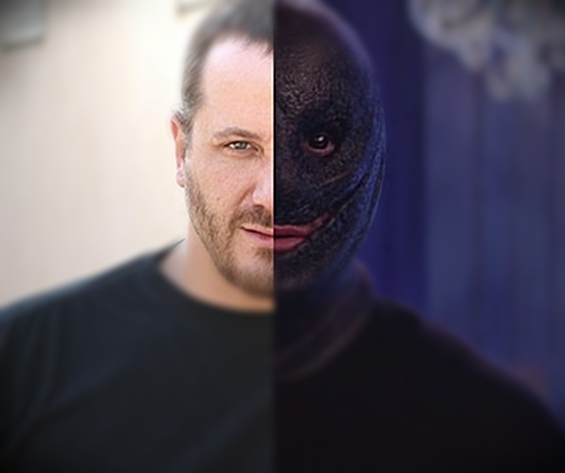 On the surface, it’s just a home-invasion film. Two deranged teenagers invite themselves into the house of a vacationing family. Playing on the family’s cordial nature, the two eventually tie the family up and force them to play “games” with each other. Hint: they don’t play Monopoly. It’s really a commentary on media coverage of the violence in today’s world. The film has this amazing way of breaking the fourth wall by having the attackers randomly look towards the camera and engage the audience. “This is what you wanted to see, right?” The fourth wall has been broken many times in the history of cinema, but never in such a way as to make the viewer actually feel like an accomplice to the acts on screen. And it’s true, that’s what we’re watching it for. Unless you just randomly pick up movies to watch having known nothing about them or you don’t pay attention to any movie sites – you know what you’re getting into. The original film was released in 1997 and the director, Michael Haneke, made a shot-for-shot remake in 2007. I’m including both for my completest personality, but I think one would be sufficient. I prefer the English language to the multi-foreign language film; just because I like Naomi Watts performance as the mother a bit more. They’re both excellent films, though, and they’ll definitely make you appreciate your life and family more this coming New Year. Note: The quality of the 1997 versions are vastly improved in the below links, but that’s the nature of free movies sometimes.